Andrew Flintoff won his first professional boxing bout against Richard Dawson. See pictures. 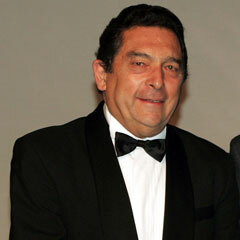 Cape Town - Former Cricket South Africa (CSA) boss and SA captain Ali Bacher believes the current Proteas Test team is the best the country has produced. The Proteas made history with their 1-0 series win against Australia on Monday, becoming the first South African side to win two consecutive Test series against Australia on Australian soil and retaining top spot in the ICC Test Championship. They further cemented their place in South Africa's annals by being the only Test side to win two consecutive away-series against both England and Australia. Coincidentally, their victorious tours to both countries were in 2008 and 2012. “It is unprecedented in South African cricketing history that a team has won two consecutive tours in both Australia and England,” Bacher said. Proteas captain Graeme Smith lauded his side after they held off a dominant Australian team in the first two matches and took control in the third. "Looking back to the 1990s, we knew it's really hard to win in Australia, and this was no different," Smith said in a television interview. "The guys showed a tremendous amount of character and ability in this series. "Winning a series here takes a lot of effort, so to win two here means the world to us." South Africa first played Australia away from home in 1910/11 and lost the Test series 4-1. It took them a further eight tours before they recorded their first series win in 2008, defeating the hosts 2-1. The South Africans fared better against England in the early days, having won the Test series 1-0 in England in both 1935 and 1965. After readmission, the Proteas drew two series and lost one in England until July 2008, when they won the three-match series 2-0. In July and August this year, they beat England 2-0. HAVE YOUR SAY: Is the current Proteas team the best Test side South Africa has ever produced? Send your thoughts to Sport24.